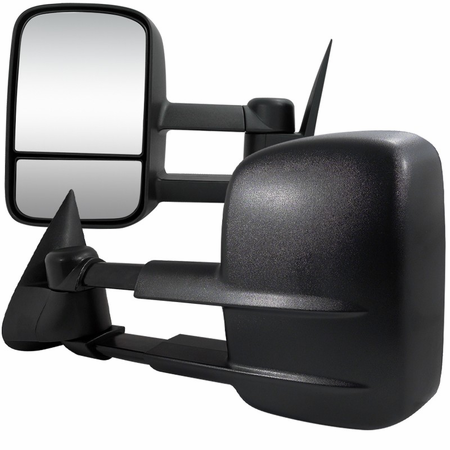 Product: 1999-2002 Chevy Silverado Extending Towing Mirrors (Power) with Heat Funtion. Descriptions: Add these stylish new mirrors to your truck for that extra personalization. These Mirrors extend to increase your visions on your blind spots especially when towing a camper or trailer!